At the end of the day, the most important metric for measuring the success of your marketing campaigns is conversions. That could mean anything from driving traffic to your client's website, pushing sales or increasing sign-ups for newsletter and blog subscribers. Using Raven's WYSIWYG Reports, you can show exactly what your marketing efforts have yielded through a conversion-focused report with Google Analytics, Google Search Console and Bing Webmaster Tools. Before you start building a report, you'll need to make sure that all of your data sources are connected. In this case, we're specifically talking about Google Analytics, Google Search Console and Bing Webmaster Tools. These are your workhorses for displaying conversion data, though they're tackling conversions in different ways. That will cover your bases for a report dealing primarily with SEO. You may want to consider adding in Google Ads data as well, in the event that you're running PPC campaigns. Once you have everything set up, create a new report and let's start building! Google Analytics displays conversions based around your criteria in the form of goals and ecommerce. 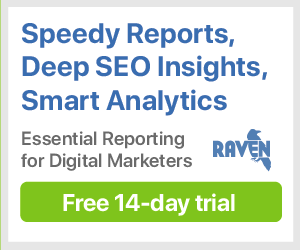 These are set up in Google Analytics itself and then synced automatically in your Raven account. Ecommerce tracking is a powerful way of demonstrating monetary value to your marketing efforts, while goals are useful for showing activity and actions on the website itself. So, with that being said, let's get to work on adding Goals data. Click the Add Section button and select Google Analytics. Click the Create Custom Widget button to bring up the custom widget creation screen. Select All Traffic from the dropdown menu and choose a Widget Type. Change the Conversions setting from All Goals to a specific Goal. Change the Metric menu and then select one of the specific goal metrics, like Goal Completions or Goal Conversion Rate. You can repeat that process for each goal that you want to report on. You can also add the "Goals" pre-built section, which will provide more generic goal conversion information. Pro-Tip: Looking for a list of all of your Goals and their performance in a single table? You can find a version of this in SEO Metrics, using the Goals metric. The one drawback is that it will only provide data for organic traffic: no referrals, paid, direct or other non-search traffic. Ever since Google Analytics stopped providing visits information for organic keywords, it's become harder and harder to accurately measure what searches are driving traffic to your website. Google Search Console gives you more control over that hidden data. This is where you can use Keyword Rankings tables to your benefit. You can add pre-built widget groups for both Google Search Console and Bing Webmaster Tools, or you can add custom widgets to create these tables, as you did with Google Analytics. Keyword Manager Rankings: Once you've uploaded a list of keywords to Keyword Manager, the Keyword Manager Rankings table widget will match rankings data from Google and Bing to any keywords with available rankings data. That allows you to pick and choose which phrases are most important to you (or you're particularly focusing your SEO efforts on) and track rankings, impressions and clicks on only those. Google Analytics Rankings: Alternatively, you can pull all of the keywords from Google Analytics and display GSC/BWT data against those keywords. Thanks to the increase in encrypted searches, this list won't be comprehensive, but matching the keywords here against keywords present in Google Search Console or Bing Webmaster Tools will provide some extra insight. Because this is a conversion report, the point here isn't necessarily rankings: it's impressions and, more importantly, clicks. Sort your tables by Clicks to see what's actually driving traffic. After all, what good is a top-ranked keyword if no one is clicking on it? Import external data, if you have any. You can import any CSV into WYSIWYG Reports, so if you're using any tools that have conversion data like a separate ecommerce suite or application tracking, upload it into Raven for display alongside your other data. Toss in a couple of line graphs from Google Analytics and Keyword Rankings, overlaid with Events. As you accomplish tasks in your marketing campaign, add them to Event Manager so that they're displayed over your graphs. This could be anything from starting a PPC campaign to sending out a newsletter. Use Text Summary widgets to give analysis and emphasize your efforts. Your clients can't read your mind; direct them to what you want them to see using Text Summary widgets. These are blank HTML blocks that let you provide additional context to the widgets in your report. What is a Custom Chart and how do I create one?